Custom low boy removable goose neck trailers for pre-staging outage materials and equipment. 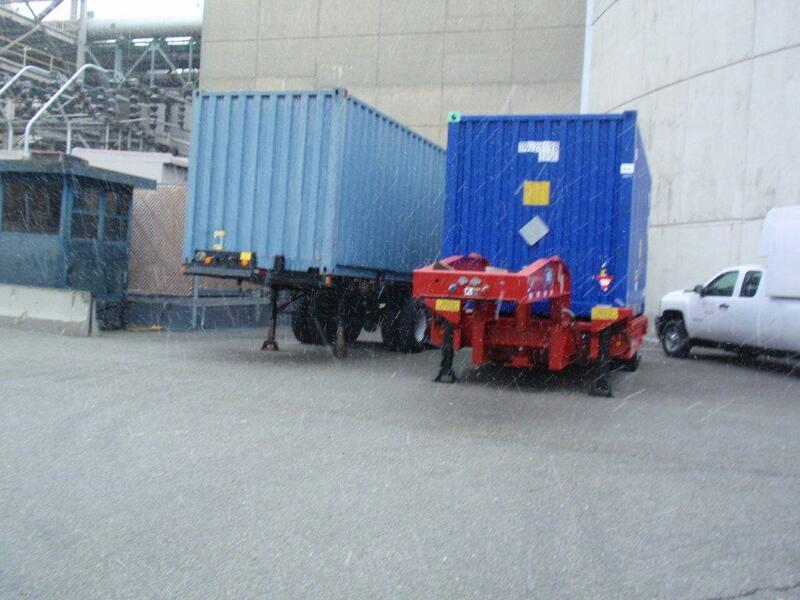 These trailers were also designed to hold a standard 8' x 20' "C-Van" storage container. Some were designed with a custom "drop well" to accommodate a shielded reactor coolant pump rotating element assembly shielded container. The RCP shielded container was also designed and built by QEP.